This blog is devoted to correcting myths and misconceptions about tobacco harm reduction. Here is some practical advice on to make the switch to smoke-free tobacco products. 1. Pick the right product. Choose a pouch -- a small “teabag” containing tobacco and flavors -- or try one of the other products from this list and decide which works best for you. There are many options, so don’t be discouraged if one product doesn’t fit your lifestyle or taste. 2. If you’re using a pouch, put it in the right place. Place it under your upper lip, near the corner of your mouth. Most smokeless tobacco users put products behind their lower lip – a practice that generates tobacco juice and leads to spitting. 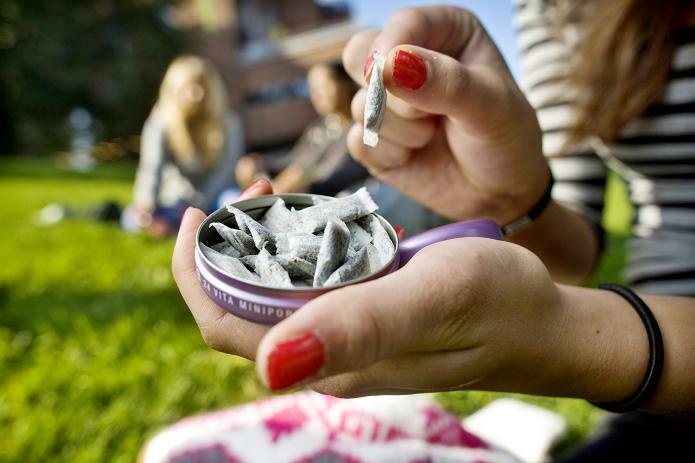 In Sweden, snus users tuck the product behind their upper lip, where it’s spit-free and invisible. Simply pop a pouch in your mouth and move it in place with your tongue. Alternatively, pull your upper lip out with your fingers and position the pouch. At first, the pouch will feel like a cannonball. Look in the mirror, and you’ll see that it’s hardly noticeable. 3. Get your nicotine buzz, but don’t overdo it. When you inhale cigarette smoke, you get an immediate nicotine kick. The effect from smokeless tobacco takes longer, but slower nicotine uptake also means slower nicotine decline. One- or two-pack-a-day smokers who switch often need to use only 4 or 5 smokeless pouches… saving money. Light and ultra light smokers might get too much nicotine from some smokeless products. Choose one that’s satisfying but not overwhelming. At first, use the smokeless product for only a few minutes. You’ll learn how much time you need to get tobacco satisfaction. 4. Expect the unexpected. You might feel minor burning where you place the tobacco, and your throat might get irritated. This is from the nicotine, and it’s normal. Sipping some water or a beverage can help. You may get the hiccups, feel dizzy or experience an upset stomach, but these minor symptoms will quickly disappear. 5. Stick to the switch. Although some smokers make the transition quickly, smoke-free tobacco products don’t automatically “cure” you of wanting another cigarette. These products will make it easier to quit and they’ll make those cravings less intense, but they don’t entirely replace the smoking ritual. If you’ve smoked for years, breaking the habit can still be a challenge. Remember, it’s the smoke that kills. Stay committed to being smoke-free. Can we use chewing tobacco or loose form moist snuff (dipping tobacco)? I personally do not like the pouches. This is a very frequent question. It is entirely appropriate to use any of the traditional chewing tobacco or moist snuff products on the American market. I generally recommend pouches or pellets because they are more user-friendly for smokers who have no previous experience with smokeless tobacco. 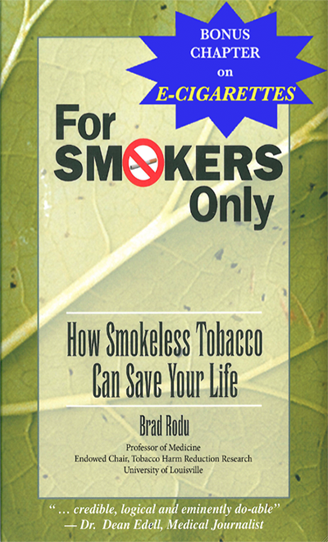 Just as a second to Brad's blog entry, I smoked 43 years, 2-3 ppd at the end. Tried e cigs which helped a lot, reducing my daily smokes to half a dozen. However after six months I started smoking a bit more and looked for answers. I found Swedish snus, started using it over a year and a half ago and haven't had a drag on a smoke since. For me, 4 to 5 portions are ideal. The do sell los (loose) which I started buying but I make my own portions with cut up tea bags rather than baking it (compressing into a pris, a cylinder of snus). I still use my e cig on occasion, but not for the nicotine so much. More for the various flavors or to quench my hand to mouth habit. There are a lot of much more enjoyable and safer alternatives to smoking, you just need to find what you like. Love my snus and have quit a 25 year pack and a half a day habit!! I probably use 6 or so pouches a day, occasionally a couple more. Love my loose snus too but usually only at home. Used to be a smoker for 7 years finally made the switch to American long cut diping tobacco and couldn't be happier bless you D.R. Rodu! Strange how you former smokers use so little. I have never smoked I think I use like 15 prillas and pouches of snus every day.